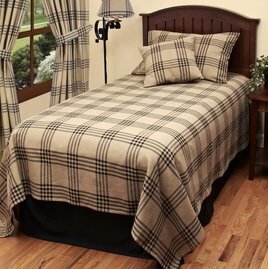 The Chesterfield Check Black Gathered Swag will add a timeless touch to your country farmhouse. 100% cotton. This is a 72 Inch x 63 Inch (2 pcs) fully lined swag with a 2 Inch header and a 2.5 Inch rod pocket. Fully lined swag with a 2 Inch header and a 2.5 Inch rod pocket. 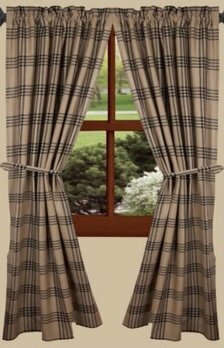 Thank you for choosing to shop with us and considering this Chesterfield Check Curtains from Raghu! 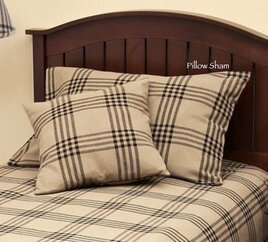 The timeless Chesterfield Check Black Pillow Sham is a great addition in your cozy home. 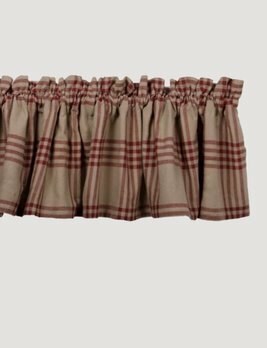 Made from 100% cotton this country sham is 21" x 31". 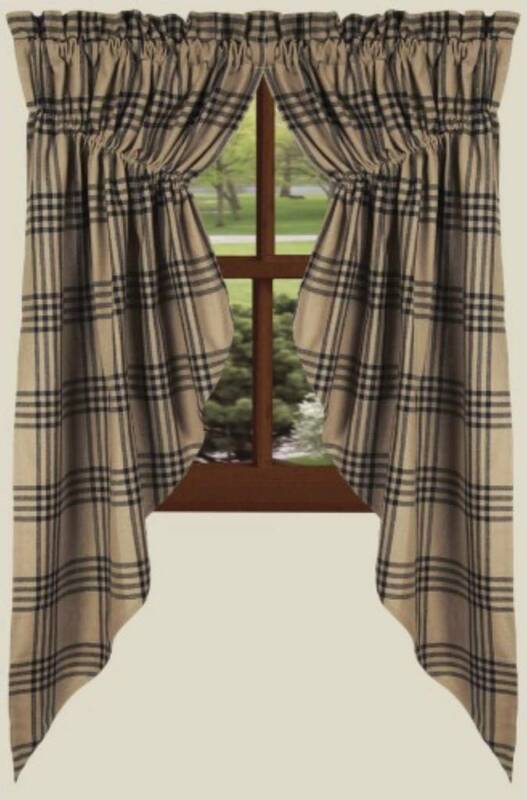 The timeless Chesterfield Check Black Curtain Panels is a beautiful finishing touch in your country home. Made of 100% cotton and is 84 Inches x 86 inches. The set of 2 panels is fully lined with a 2 Inch header and a 2.5 Inch rod pocket.